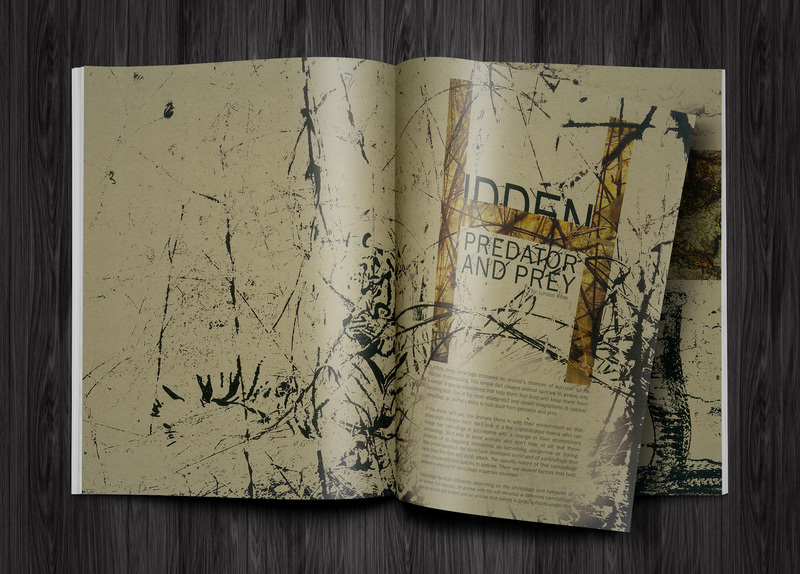 The objective of the project was to create editorial spreads for an article about how predators and prey use camouflage. 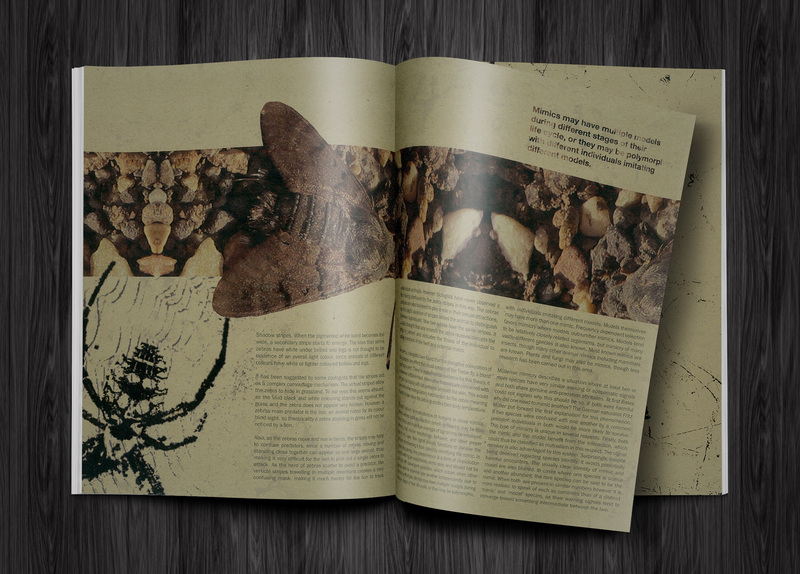 The subjects in the imagery of the article are camouflaged and very hard to see. 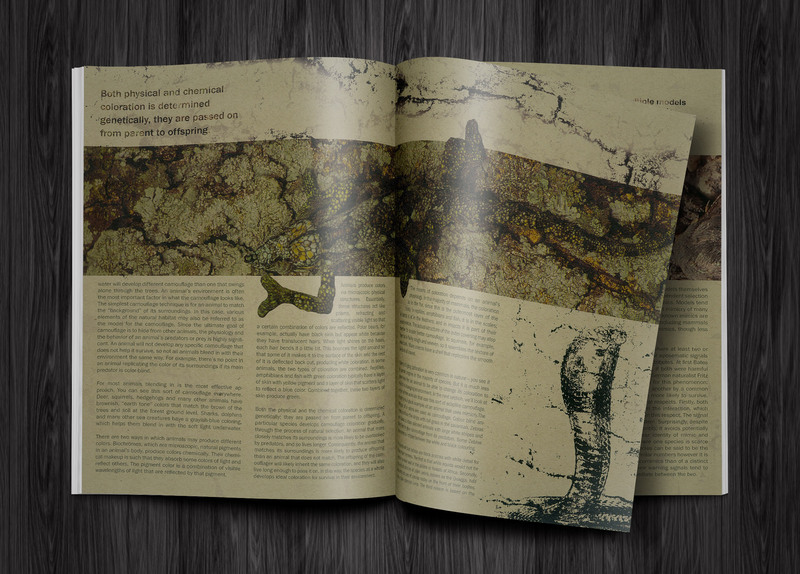 In order to bring attention to the subjects, the edges of the subjects extend past the image strip on the spreads. 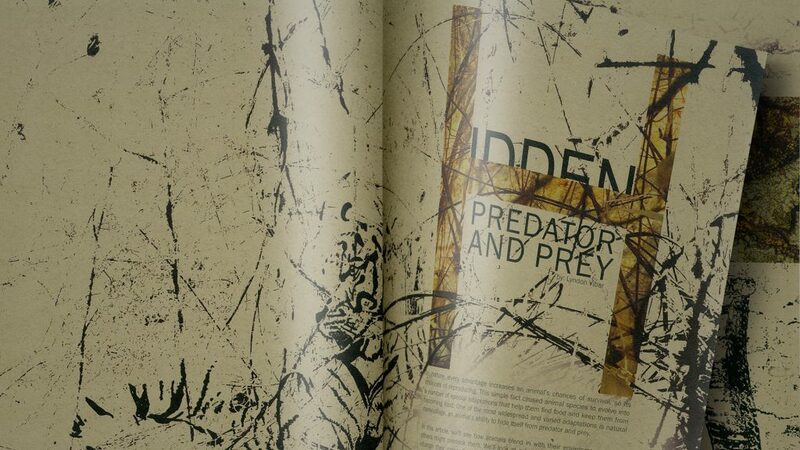 On the first spread hidden within the texture, there is a hidden tiger laying in wait.